The worlds of MacGyver and Hawaii Five-0 are about to meet. TVLine reports the two CBS series will crossover in March. 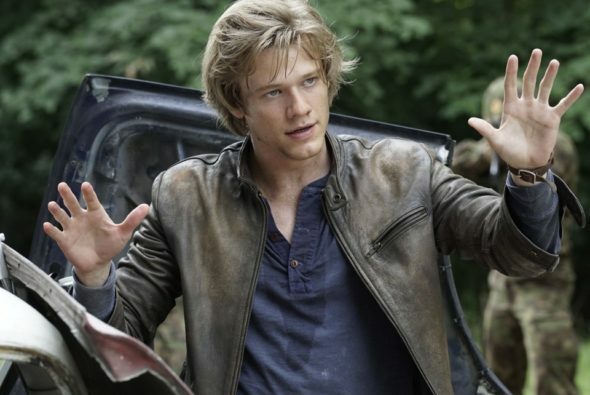 Based on the ’80s action drama, MacGyver stars Lucas Till as a young Angus MacGyver, a secret agent with a knack for innovative problem solving. Also a reboot, Hawaii Five-0 stars Alex O’Loughlin, Scott Caan, Daniel Dae Kim, Grace Park, Chi McBride, Masi Oka, and Jorge Garcia. Both series are executive produced by Peter M. Lenkov. Hawaii Five-0 stars Daniel Dae Kim, Grace Park, and Taylor Wily will guest star on an episode of MacGyver set to air on CBS on March 10th. What do you think? Are you a fan of Hawaii Five-0 and/or MacGyver? Are you excited about the crossover? I enjoy both shows, and I liked the crossover show. Our family actually watched both of these two shows 1st run originals growing up & we’re very pleased they were going to be revived & have been watching these new versions & like them very much. Will Alex O’Loughlin be gone from the series on the 10th of March? MacGyver is so-so. Seems like every time there’s a crossover, McGarrett is on another continent! And, Alex O’ was going thru medical rehab during the crossover with NCIS, Los Angeles. Maybe a crossover with NCIS would make a greater impact! Please, don’t “sacrifice” H50 just to be able to say the director (or whatever) is promoting his two shows! I love Hawaii 5.0 and MacGyver is alright, but tends to be on too early in order for me to catch it (7pm cst). And because they are on cbs our crappy on demand of Frontier Communications sometimes waits a week before they put it on demand, then they only keep it up a week. So, my schedule is erratic I forget what to look for in demand. Hopefully I’ll get home early enough to watch it on plain cbs, cuz I’m not paying for CBS All Access. A MacGyver and Scorpion crossover would’ve been a great fit. I’m excited about the MacGyver/Hawaii Five 0 crossover. I hope both of them get renewed for a second season and a eighth season.